People who are visually impaired will often use a cane to feel out their surroundings. 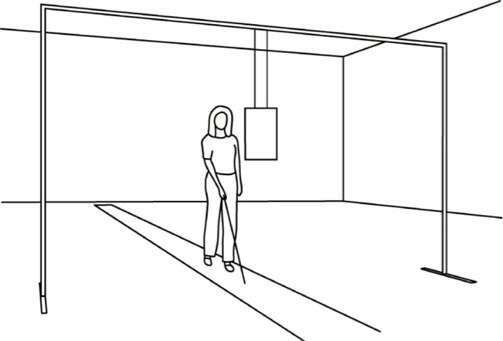 With training and practice, people can learn to use the pitch, loudness and timbre of echoes from the cane or other sounds to navigate safely through the environment using echolocation. Bo Schenkman, an associate professor at KTH Royal Institute of Technology in Stockholm, Sweden, will present a summary of some aspects of his work on human echolocation during Acoustics '17 Boston, the third joint meeting of the Acoustical Society of America and the European Acoustics Association being held June 25-29, in Boston, Massachusetts. A better understanding of echolocation may improve methods for teaching the technique to people who have lost their sight later in life, and yield additional insights into human hearing. "Eventually I hope the research can give a result that can aid blind and visually impaired people," Schenkman said. Many individuals who were born blind or who lost their sight early in life are highly skilled at using echoes that bounce off objects, walls, hallways and buildings to find their way around. The majority of people use the tapping of their canes to echolocate—the action calls less attention to themselves. But others add their own sounds like clicking, shushing or snapping noises to detect objects around them. His work shows that, on average, visually impaired people are better than sighted individuals at perceiving the sound quality of two sounds that are close together in time. 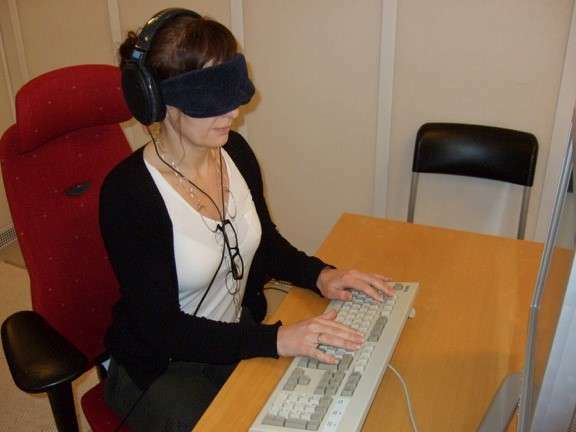 Blind people can also more easily counteract the "precedence effect," a phenomenon that occurs when sounds overlap, and a person judges the location of the sounds to be from the location of the first arriving sound, rather than from the ones that arrive later. "It's a byproduct of our hearing system that we can use echolocation, so we're not as proficient at it as bats," Schenkman said. However, "I think one can learn much from differences between humans and bats, to compare how the systems work." What is needed is To start --ASAP-- introducing Bat Echolocation Genes into Mouse, Rat & Guinea Pig Zygotes, WITH THE HOPE of Humans too acquiring that ability ATLEAST in some Distant Future ! Such Science has to start Today ! First, Remove that skill from Bat to locate where those genes are located. They have Flesh and Blood like Humans, Remember That. They ARE NOT PLANTS nor Are Bacteria !